New South Wales households are spending up to $400 a year more than they need to on electricity bills. 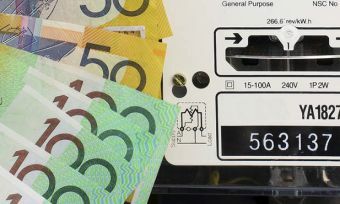 Latest figures from the Australian Energy Regulator show that one in four households in the state remain on standard offer electricity contracts, as opposed to cheaper market rate deals. Canstar Blue research shows that customers of all the big energy retailers could be saving hundreds of dollars, simply by picking up the phone and asking to switch from their provider’s standard offer to the cheapest available market contract. “Receiving the monthly or quarterly energy bills is something we all dread, but one in four households in New South Wales have the opportunity to save a huge amount of money, and they don’t even need to switch electricity retailers,” said Canstar Blue Editor Simon Downes. “Unfortunately a lot of people simply won’t know what kind of energy contract they are on. But if you think you’re paying over the odds, you need to contact your retailer, ask the question, and insist you’re put on their cheapest market offer. “The energy retailers will be more than happy to keep you sitting there paying more than you need to, so you need to be proactive and ask the question. If you don’t ask, you simply won’t get. Canstar Blue compared the standing offer and market contracts of seven major energy retailers operating in New South Wales. The research found that, after market offer discounts are taken into account, potential savings range from $276 to $412 a year. Prices based on average energy usage for five-person households on the Ausgrid network, December 2016. Market offers used are highest discounted plans from each provider at the time. General guide only. Customers of all seven electricity retailers compared stand to save by switching from standing offers to leading market offers with the same provider, provided they meet the conditions of their respective discounts, such as paying on time or by direct debit. Failure to do so would mean they pay the higher non-discounted rate for electricity, which in many cases would be the same as what they would pay on their retailer’s more expensive standard offer. “New South Wales has become a hugely competitive energy retail market with 23 different residential providers to choose from. Consumers need to make sure they take advantage of this competition and shop around for the cheapest rates possible. For those still on standing offer contracts, the first step is to move onto a market offer that could instantly result in big savings. “However, it’s important to remember that you must meet the conditions of your market contract to benefit from the discount. If you don’t, you will be left paying a much higher rate, and you may also be slugged a fee. “Many consumers understandably believe that switching electricity providers is hard work and won’t be worth their time. What this research shows is that you don’t necessarily need to switch providers to save money – you just need to pick up the phone and ask to be put on their cheapest offer.